AliveCor, which develops a low-budget, mobile electrocardiogram (ECG) recorder for iOS and Android devices, has raised $10.5 million in Series B funding in a round led by new investor Khosla Ventures and prior backer Burrill & Company. Qualcomm Ventures and the Oklahoma Life Sciences Fund, both of which participated in the mHealth company’s $3 million Series A round back in August 2011, also joined this second round. AliveCor’s ECG device basically enables medical professionals and regular consumers to monitor a person or animal’s heart health. Its cardiac monitoring technology is designed to work with the iPhone, iPad and Android devices. You can see a demo video of its product below. 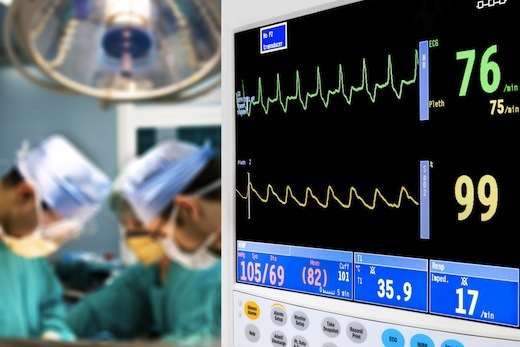 Its mobile ECG device is currently pending 510(k) marketing clearance by the U.S. Food and Drug Administration, but the company says the fresh funding also enables it to expand into developing for mHealth applications and services for international markets. Michael Kourey, an operating partner at Khosla Ventures and former Polycom CFO, will join AliveCor’s board of directors. The company also recently announced the appointment of Judy Wade as president, chief executive officer and director. Prior to AliveCor, Wade was the president and CEO of mobile app developer Hands-On Entertainment. Before that, she was the VP of Strategy and Emerging Business at Linden Lab and an Entrepreneur-in-Residence at Kapor Enterprises. AliveCor has raised $13.5 million to date.